The Ordinary has a fast growing fan base across the globe. It’s iconic white packaging is becoming a common sight in bathrooms everywhere. The strong team of chemists and biochemists at The Ordinary labs, work hard towards producing a range of products that are advanced, practical and functional for the everyday user. The Ordinary, (a brand of Deciem) is a forever evolving brand, researching new and revolutionary ways to provide customers with the latest clinical technologies that will give effective and long lasting results. It is not difficult to understand why there is such a hype surrounding this brand. Popular for its large variety of products such as primers, moisturisers, toners and exfoliators as well as its high level of quality at such an affordable price range. At such budget friendly prices and accommodating to all skin types and needs, The Ordinary is far too enticing to not try. Want to reduce the visible signs of ageing, dynamic lines, wrinkles or surface irregularities? 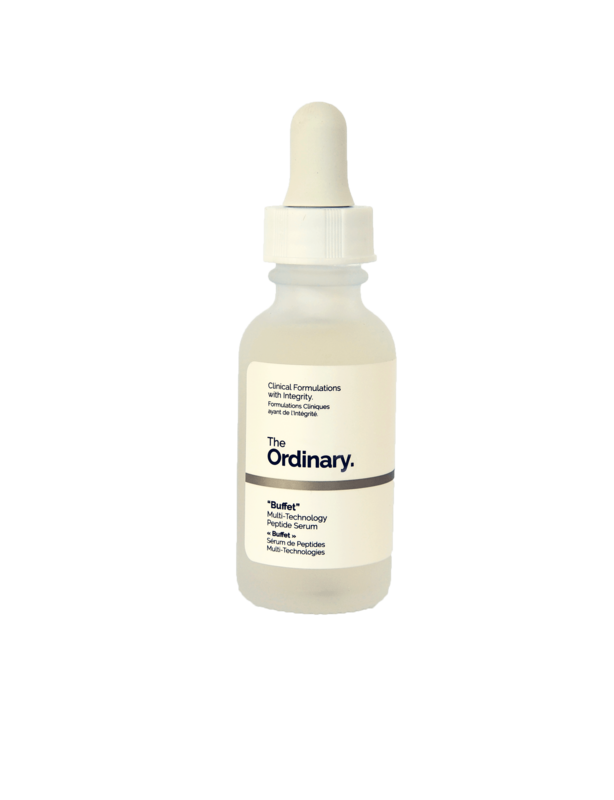 Look no further than The Ordinary 'Buffet' multi-technology peptide serum. Contains Ingredients that have been around forever. Clinically proven to work.